Solar Foundations' approach was to design a structure that was optimized based on the integration of the foundation system, substructure members and the racking components. SFUSA has developed processes and equipment that permits the installation of our ground screws in any soil conditions including solid rock. 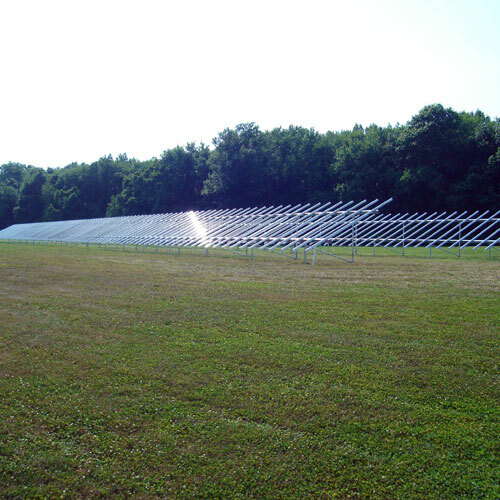 Solar Foundations USA is the single source solution to meet your solar panel support structure needs. We offer engineering and design, foundation systems, racking components and efficient installations. 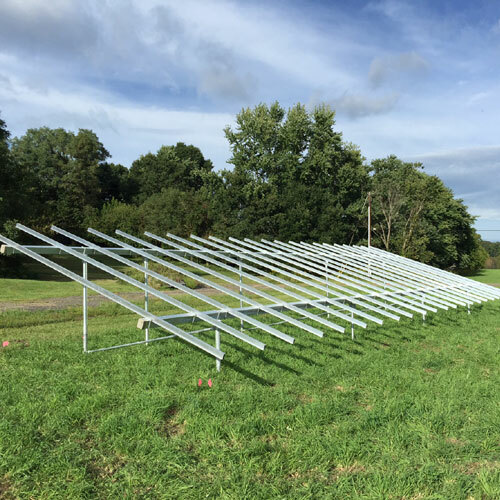 Specializing in racking solutions for ground mount solar array structures, SFUSA can make your next installation easier and more cost-effective. 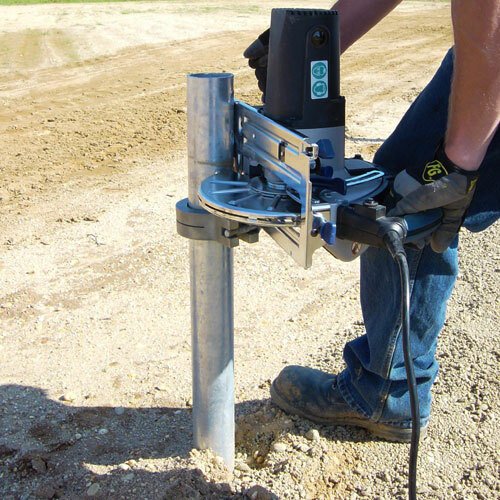 Solar Foundations uses ground screws and helical piles because of their uplift and bearing performance, ease and speed of installation, minimal disturbance to site and soil and the ability to validate pile capacity during installation. We engineered our systems to obtain a better balance between all of the system components. 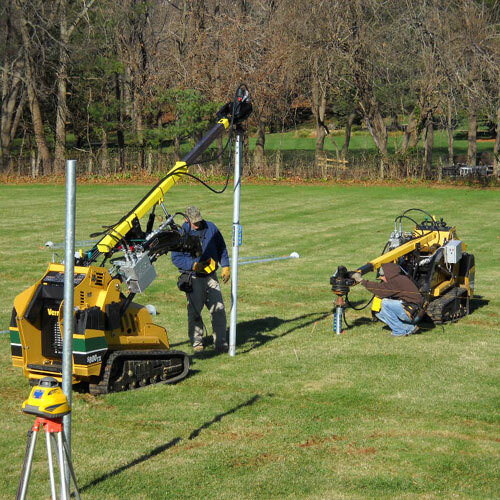 This approach results in optimized array designs with fewer ground penetrations and a resultant lower installed cost. We can provide fully stamped structural engineering plans for any ground mount system. 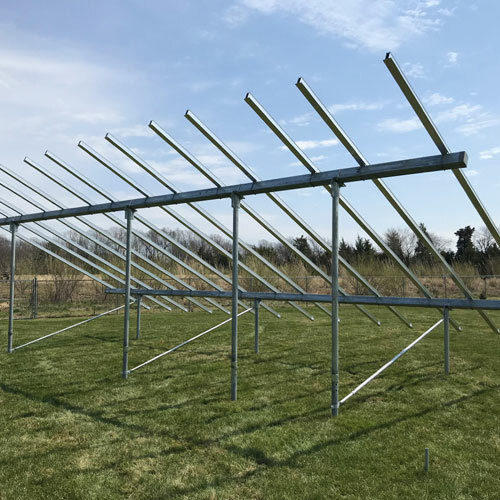 Solar Foundations designed the section properties of the racking to account for the typical larger racking support spans seen on ground mount structures. This has allowed us to offer further cost optimizations and array configurations that are not typically available in the industry. All installations of our patented products are performed by SFUSA trained and certified crews. Our installation crews endure a rigorous training and qualification process to ensure they have the skills necessary to provide the best in class service. 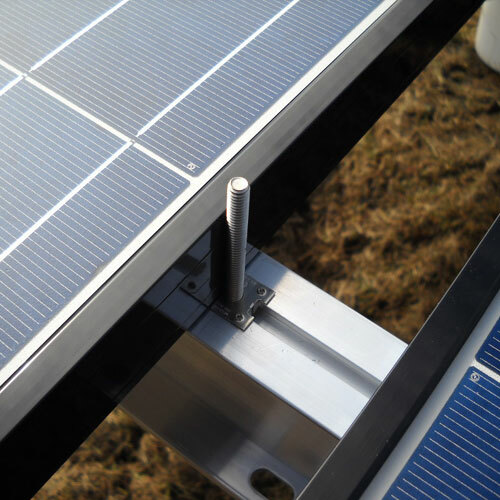 Solar Foundations has developed patented equipment that permits rapid deployment and single operator pile installation utilizing a compact and lightweight power unit. Our quick installation process ensures that your jobs will be completed on time and on budget with minimal disturbance to surrounding site conditions. With the use of our versatile patented tools and equipment, SFUSA is capable of installing multiple arrays at an accelerated pace for greater efficiency. We pride ourselves on the quality of our product, which has an expected lifespan that exceeds multiple panel life cycles.